2001 - 2019 © IPHC. Click here for patterns Camping will be assigned, contact Lindsay McLain for reservations. 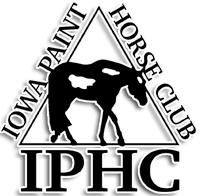 *This show counts for "points only" for IPHC year-end awards, it will NOT count towards the # of judges/weekend requirement. Saturday, July 20, 2019 Camping will be assigned, contact Lindsay McLain for reservations.